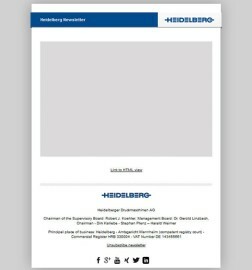 As already announced, Heidelberger Druckmaschinen AG (Heidelberg) realigns its postpress portfolio. 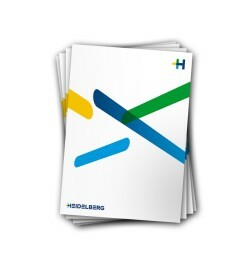 In-house production at the Heidelberg sites in Germany is no longer competitive under the new market conditions. The relevant operations are therefore being discontinued, except for production of folding machines at the Ludwigsburg site. 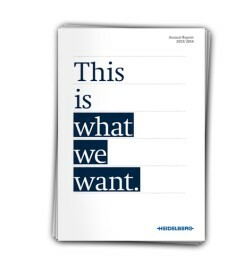 As already announced, Heidelberger Druckmaschinen AG (Heidelberg) realigns its postpress portfolio. At the end of June this year, the Riesselmann print shop in the German town of Lohne organized an open house with Heidelberger Druckmaschinen AG (Heidelberg). Over 200 existing and potential customers saw the new Speedmaster XL 106 five-color press in action complete with coating unit and DryStar LE UV dryer technology (LE stands for Low Energy). Around 1,750 shareholders today participated in the Annual General Meeting of Heidelberger Druckmaschinen AG (Heidelberg) for financial year 2013/2014, which was held at the Congress Center Rosengarten in Mannheim. Approximately 29 percent of Heidelberg’s share capital was represented at the event.